2008 saw many stellar bottles hit the shelves, but some stood out from the pack. 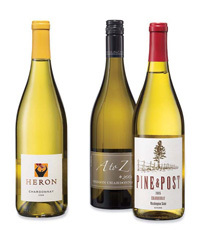 Below, Ray Isle picks 15 wines that are not to be missed. Made entirely with Chardonnay grapes, this delicate, precise Champagne from a top boutique producer has a clean, citrusy edge. 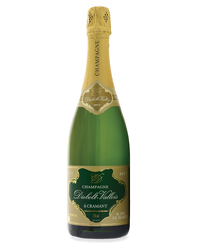 It’s an amazing bargain for Blanc de Blancs Champagne, better than many bottlings that are twice the price. 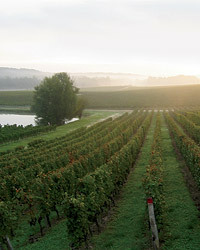 Geoffroy is a grower Champagne, meaning that all the grapes come from a single estate (most major Champagne houses source grapes from hundreds of small growers). This deeply colored, earthy, rich rosé is made by the saignée method, in which juice is drawn off from the crushed red grapes (Pinot Noir for this wine) after a short maceration. This is super Pinot Gris, of a quality that is rare to find for less than $20. The pear and melon fruit, light floral notes and palate-whetting acidity, plus a great vintage (2006) all contribute to its success. And it’s from a winery that’s dedicated to eco-friendly sustainable agriculture. Organic viticulture and native (not industrially produced) yeasts amplify the personality of this vibrant, lemony Albariño from the Rías Baixas region in northwest Spain. It has an evocative, almost saline aroma, like spray from the ocean. Choosing between Gilles Morat’s two superb single-parcel Pouilly-Fuissés is pretty much a matter of personal preference, since they’re both so impressive. The Bélemnites, which comes from vines more than 40 years old rooted in limestone-clay soils, had a slight edge in this vintage over the more straightforward La Roche bottling, partly thanks to its complex scent of orange zest and earth, and the substantial lime and mineral depths of its fruit. A strange but delicious Italian white, this bottling blends the grape varieties Incrocio Manzone, Sauvignon Blanc, Chardonnay and—the odd part—free-run Nebbiolo juice. 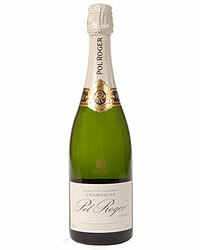 It’s dense and opulent, with citrus zest, red apple, melon and a touch of wild berry, framed by some light oak spice. To add to its unusual character, some of the grapes are also dried for several weeks before fermentation. This Alsace white from one of the region’s best producers has a smoky, savory aroma with a hint of diesel—a good thing in some Alsace whites—and dense, complex, powerfully mineral flavors. There’s apple fruit, too, but the primary sensation is of stones and earth, and tremendous length. Sourced from 40-year-old vines (40 percent Syrah, 20 percent Grenache and 40 percent Carignan), this Roussillon red’s blackberry and blueberry flavors and velvety, substantial tannins make it delicious right now, but it has the power to develop for several years as well. Baudry, who’s one of the best producers in France’s Chinon region, is known for wines like this earthy-herbal Cabernet Franc, full of peppercorn spiciness and tart cherry-berry fruit. The smoky scent of Lapsang souchong tea is the first distinctive note of Taupenot-Merme’s impressive Gevrey, followed by layers of Indian spices and dense wild-cherry fruit. It’s remarkably good for a village (i.e., basic) wine, thanks to talented seventh-generation winemaker Romain Taupenot. Cadence’s powerful red from the 25-acre Tapteil Vineyard on Red Mountain—50 percent Cabernet Sauvignon blended with smaller amounts of Merlot and Cabernet Franc—could convince even the mayor of Napa to promote Washington wines. Its earthy black cherry flavors and ripe tannins last and last. Scott Palazzo, a music producer, sources this terrific red blend primarily from Merlot vines in Napa Valley’s Carneros district, together with Cabernet Sauvignon and Cabernet Franc. A departure from the usual blockbuster Napa style, it’s lithe and spicy, with sweet red currant and cherry fruit, a hint of Merlot gaminess and deceptively gentle tannins. This graceful red actually smells and tastes like Cabernet Franc, something a lot of California Cabernet Francs seem disinclined to do. From vines planted in the late 1970s—on a mere three-quarters of an acre—it’s got pretty floral, violet aromas mingling with mocha and black cherry, and similar flavors ending on dusty, firm tannins. A great wine from both a great vintage and one of the greatest traditional producers of Rioja, this bottle shows earth, green grass (which is strange, but older wines are often strange) and dried cherries on the nose, then silky old-school Rioja flavors of vanilla, brown sugar and sweet cherries. The fruit is remarkably fresh for a 27-year-old wine; also remarkable is that it’s a current release. In 2004, Ceretto’s top Barbaresco bottling has a perfume of blossoms, anise, and cherries—the kind of scent that wafts out of the glass and carries across the table. On the palate, it’s firm and drying on the end, with sleek raspberry-cherry notes and a lingering hint of orange rind. Graceful now, it should also age beautifully for decades.